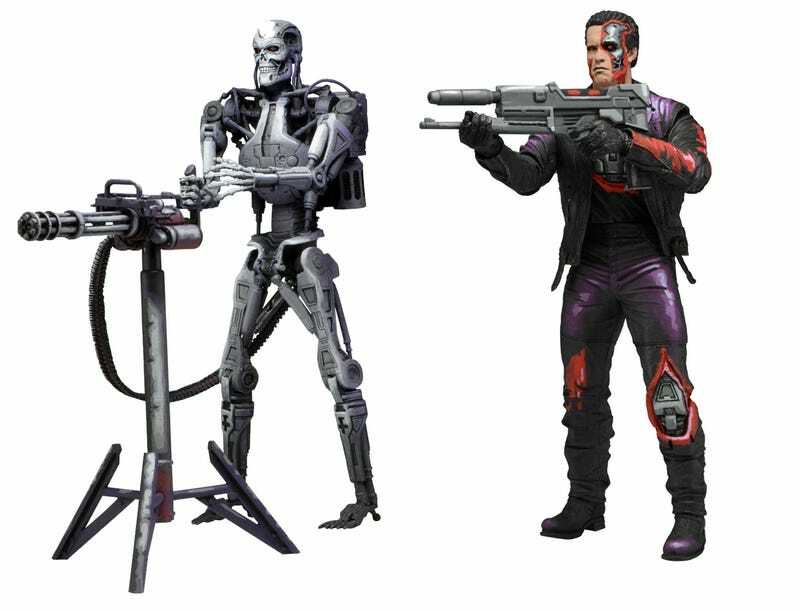 Series 1 includes two versions of The Terminator with paint deco that re-creates the video game shading. The T-800 includes a Plasma Rifle accessory, and the Endoskeleton comes with a standing Heavy Machine Gun accessory. Both figures are fully articulated and stand approximately 7″ tall. Series 2 includes two versions of Robocop with paint deco that re-creates the video game shading. Flamethrower Robocop includes a massive flamethrower accessory with removable “flame spray” attachment. Fire-Damaged Robocop is partially covered in sculpted flames and comes with rocket launcher and laser pistol accessories. Both figures are fully articulated and stand approximately 7″ tall.